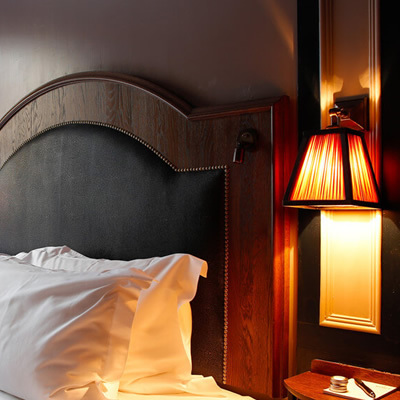 You’ll find Mimi’s Hotel location in London’s Soho area, which is one of London’s most sought after locations. With its vast array of shops, bars and restaurants, Soho offers an authentic fun and vibrant London experience in this wonderful area of the city. I have to say, Mimi’s Hotel emulates everything Soho is in terms of its style and design throughout, and it truly is a sight for sore eyes. The hotel itself is actually quite small and intimate, and wonderfully intriguing. To get through to the reception area, one must first walk through Henson’s Bar, which is a lively place with a great atmosphere. Once through to reception, we were swiftly checked-in by a friendly member of the team and shown on our way to the room. During our stay, we experienced one of Mimi’s Hotel’s Lux rooms, our room boasted a large window overlooking the streets of Soho, which was an excellent place to stand and people watch, whilst soaking in the atmosphere during our stay. It’s worth noting that some of the hotel rooms do not feature windows, so we would advise opting for one that does. The room itself was rather spacious and included a small entrance hall complete with built-in wardrobes and safe. The doors throughout the room were very heavy and thick, and all perfectly sound proofed. The bedroom area came complete with a superbly comfortable king size bed, a small desk for those looking to catch up on a spot of work along with tea and coffee making facilities, and a flat screen television with a selection of movies. Our room was full of charm and character and we adored the wood panelled walls. 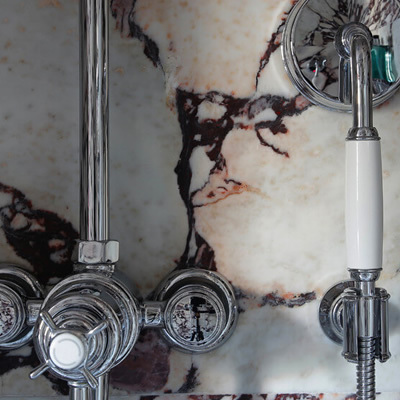 The bathroom was also wonderfully luxurious and offered floor to ceiling polished marble, a separate bath and walk-in drench style shower, along with a generous selection of gorgeous Molton Brown products. There was also a single wash basin and toilet. Overall the bathroom was finished to a very high spec and could not be faulted. 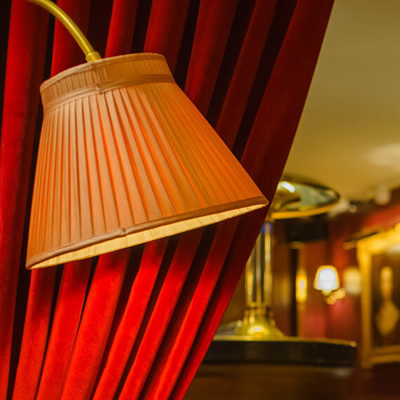 Although given Mimi’s location where you are surrounded by vast amounts of bars and restaurants, we would definitely recommend a visit to Henson’s Bar located on the ground floor. Their cocktail creations are certainly notable and worth sampling, and it offers a great place to begin your evening. We found the staff throughout the hotel to be very friendly and welcoming, and they have also produced their own map complete with local suggestions for places to visit should you not be familiar with the area; which is most helpful and knowledgeable! 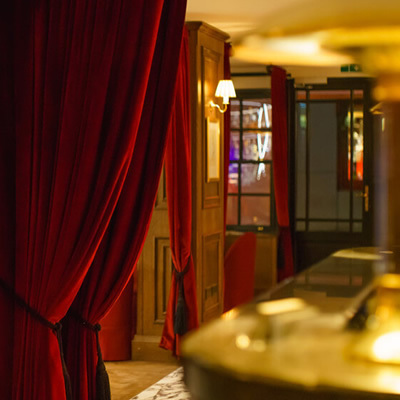 Mimi’s Hotel is a superb addition to the London hotel scene. We love the location and adore the hotel and cannot wait to return. It certainly comes highly recommended by us as an excellent central London hotel choice.